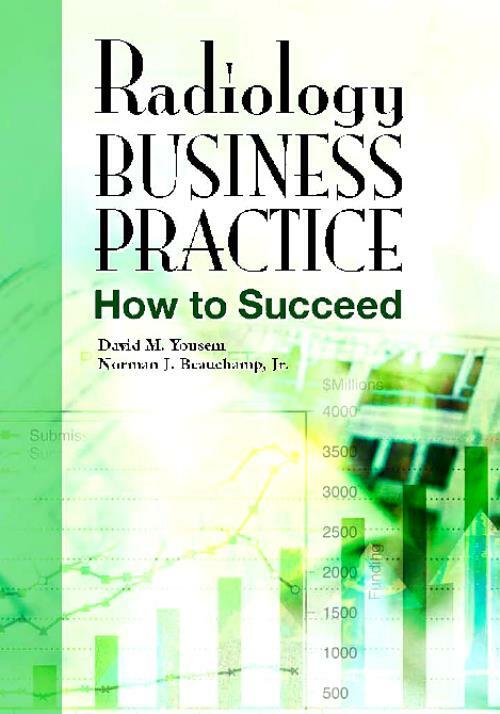 To succeed in radiology, you not only need to be able to interpret diagnostic images accurately and efficiently; you also need to make wise decisions about managing your practice at every level. Whether you work in a private, group, hospital, and/or university setting, this practical resource delivers the real-world advice you need to effectively navigate day-to-day financial decisions, equipment and computer systems choices, and interactions with your partners and staff. Yousem, David M. Associate Dean for Professional Development, Johns Hopkins School of Medicine, Director of Neuroradiology, Program Development, Johns Hopkins Medical Institution, Baltimore, MD. Beauchamp, Norman J. Professor of Neurological Surgery; Professor of Radiology; Chairman, Department of Radiology, University of Washington, Seattle, WA, USA.